MLK day of service just passed last month and Black History month began this past week. I’ve been thinking about diversity this month about, MLK’s goals, and what he wanted, which made me reflect about by school. I recently switched schools for high school. I went from a public school to a private school. These two schools are different in many different ways. My school currently is a lot more laid back compared to the public school I went to for two years. My current school has more flexibility with teachers, we have more freedom, and the quality of education is much better. One big difference between the two schools is the diversity of the student body. My current school is predominately filled with upper-middle class Jews, but my old school had a variety of people, in terms of race, class, and economics. Both of these circumstances can be either good or bad. Having a diverse student body is great because you can know a variety of people with different backgrounds and learn more about different cultures and lifestyles. Something I learned from public school was that not everybody has the same opportunities as you, and some people have more opportunities. I learned about different cultures of my friends who are not from the Unites States, and I also learned to become friends with people I normally wouldn’t be friends with. However, with public school, you do get a variety of people, which means people who might not be the brightest, or the best influence will also be going to school with you. In my school, they don’t have much diversity because I heard that they don’t want to give up bright, smart kids who they think will be right for our school, just to have diversity. Also, not having much diversity at a school may not be very good because students don’t learn what other people are like, or about different cultures and backgrounds. Everyone is the same. But should schools give up education for diversity? How far would they go for diversity? I personally think that MLK would want as much as a balance as possible in schools. I think he would want it so that there is diversity in schools but also smart, bright kids who will enrich each other’s education. I don’t think its possible to invest money in public schools to ensure both diversity and education. The diversity part is already there in public schools, but for education I think all that public schools can do is maybe invest more in the quality of the education, and have better schools academically. 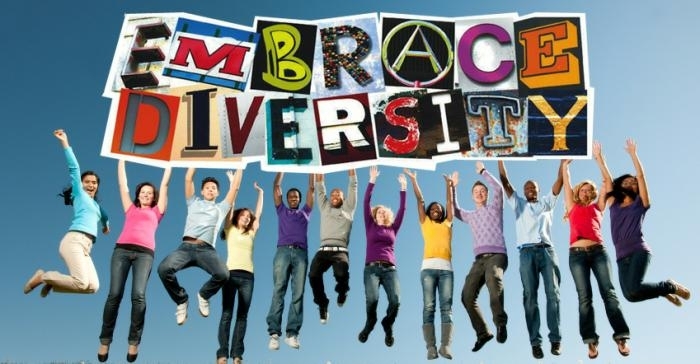 When I think of diversity, I think of different ethnic, racial, and religious backgrounds. You could also say that diversity could be having different opinions on different matters. At my current school, we definitely have different opinions in the classroom, which is great when we have discussions. However, I think that it would be even better when people have different ethnic, racial, and religious backgrounds in our school because that factor sometimes alters people’s opinions on a matter. What has your experience been like with diversity in schools? ← #DCFaith Twitter Chat, Thurs Feb 7th! Thanks Sunia for a great post. When I was younger and moved to the U.S. I noticed the stark difference in diversity from the schools in England. I was the only Pakistani kid in school, and then also the fact that African American kids sat on one side of the cafeteria was also different to me. Interesting how diversity influences and shapes education, even enhancing it.